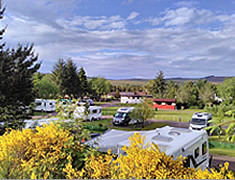 Holidaymakers with Touring Caravans, Motorhomes, Campervans or Tents are welcome. 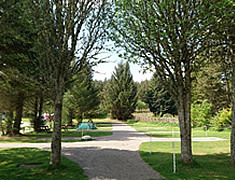 At Auchnahillin we have a limited number of pitches available for touring units and tents. We are open April - October but please check dates at the beginning and end of season. Electric hook-ups are available for low consumption or travel appliances (sorry no electric heaters or other high usage appliances). Please see Point 7 of the Terms for examples of electricity usage. 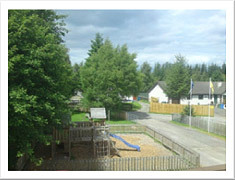 Our amenities block has indoor dishwashing and laundry facilities as well as toilets, free showers and coin operated hairdryers (20p), and a separate disabled / parent & baby room. Friendly well-behaved dogs are welcome -please see Point 6 of the Terms for more information. If you wish to pre-book a pitch, please contact us by telephone, email or post. A deposit may be requested for July/August reservations, otherwise payment may be made on arrival, by cash or credit/debit card. Any advance payments may be made by credit/debit card, bank transfer, cheque or postal order. We reserve the right to refuse any booking. 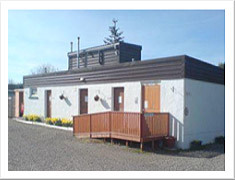 Winter Storage of touring caravans/motorhomes is available November - March. Please contact us for further information or to reserve a space. Sorry, we do not have electric hook-ups for tents.